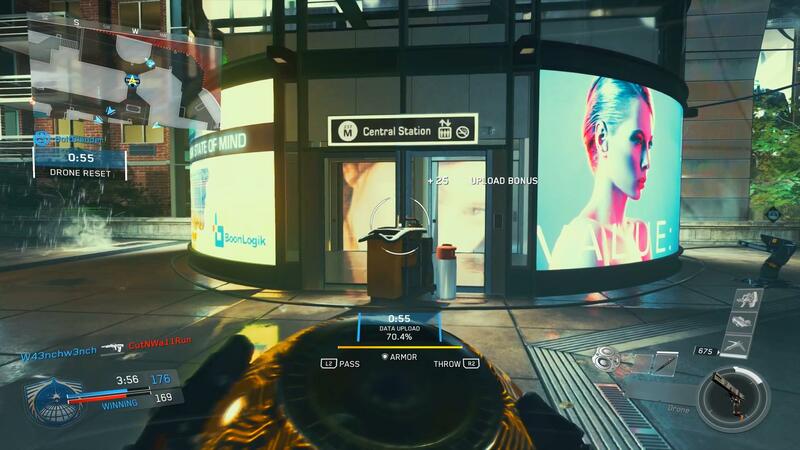 Noir, a futuristic, gritty version of Brooklyn offers a wide variety of play styles for every individual in Infinite Warfare's first DLC, Sabotage. Infinite Warfare is launching its first DLC pack this Tuesday for PlayStation 4 users and a month following for Xbox One and PC users. While there’s a lot to discuss, we’re going to be looking at the third of four maps up on the table for early preview access. This guide will be focused on the map Noir, a dark and gritty map focused around a fittingly dark version of Brooklyn. Noir takes place in a futuristic, but rather dark version of Brooklyn, New York and the map itself is designated for a little freer form play than that of the map Renaissance that was recently covered. The difference, however, is that there is a bit more room to move around in the centralized locations. Certain areas and lanes will have more room but there are more close quarters hallways than Renaissance. While Noir is larger, some points are simply SMG and shotgun dominant, there’s no way around that. With respect to the close quarters areas, there is however a large portion of area that can easily be worked with an assault rifle, LMG or even, if you’re feeling crafty, with a sniper rifle. The map offers a bit of verticality that players can use as choke points and points of interest for overlooking positions but not as much as some other maps. There are few ledges, but other than that, the map is relatively all straightforward. Perhaps the best comparison for elevation at starting and mid-map levels would be that of to Chop Shop from Advanced Warfare. The downside to some of these elevated locations however are those of the lanes they overlook. The longest lines of sight are debatably the ones seen from the overlooks of mid-map. These are lanes where assault rifles and potentially even sniper rifles can thrive. Other than that, the elevation and sight lines all seem to be fair game for any play style. As for the pace and movement of the game, it’s rather quick. Renaissance still takes the cake for the fastest map in Sabotage, but Noir is a close second. The map is a fair bit larger than Renaissance but still plays rather fast. The close quarters engagements and areas that can be chained together with wall-run movement helps to elevate the level and pace of play. As with the other maps in this DLC, there is no doubt that there will be no shortage of great gameplay and high energy action to take away from this map as well as the others. Regardless of how you play, this map is both cinematically beautiful and plays tremendously well. 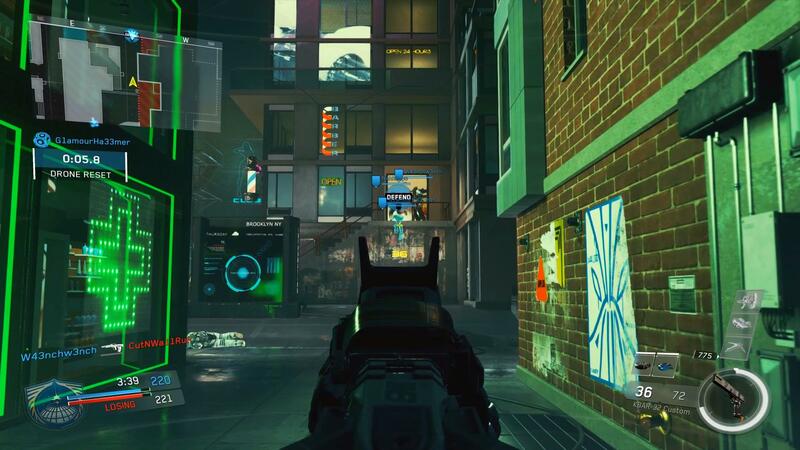 Whereas other maps in this DLC may favor one play style or the other, Noir offers a nice middle ground and haven for all types of play styles in Infinite Warfare. Whether you’re grinding for clips with a sniper rifle or going for that De-Atomizer Strike, you can flourish. Noir releases this Tuesday with the rest of Infinite Warfare’s Sabotage DLC.